The Goose & Gander Offering Art, Decor, Vintage & More! Fantasy Butterfly Wall Art On Canvas. Whimsical Purple Blue And Berry Hydrangeas On Canvas Wall Art. Announcement The Goose And Gander have gifts to "Feather Your Nest". The Goose Specializes In Hand Painted Whimsical Style Re Purposed Wooden Cheese Boxes as Storage, Organization, Gift Boxes or as a decorative piece. The Goose also offers other hand painted items such as wall canvas, flower pots, glass ware, burlap bags and more to come! We are adding more vintage door panels, hand painted and vintage items over the next weeks and months to come. Please check back with us from time to time to see what is available. Please allow us up to 3 business days for our response to questions. Thank you for stopping by, We appreciate your support! The Goose And Gander have gifts to "Feather Your Nest". The Goose Specializes In Hand Painted Whimsical Style Re Purposed Wooden Cheese Boxes as Storage, Organization, Gift Boxes or as a decorative piece. The Goose also offers other hand painted items such as wall canvas, flower pots, glass ware, burlap bags and more to come! Snowman Snow Globe Hand Painted Re Purposed Wood Cheese Box With Divider. Uses: Gift Box, Storage, Organization, and Decor. Rooster Hand Painted Re Purposed Wood Cheese Box. Uses: Gift Box, Storage, Organization, Decor, and focal point of a vignette. Small Rooster Hand Painted Re Purposed Wood Cheese Box. Uses: Gift Box, Storage, Organization, Decor, and focal point of a vignette. Merry Glamper Christmas Hand Painted RePurposed Wood Cheese Box. Gift Box, Storage, Organization, Decor, and focal point of a vignette. Glamper Christmas Hand Painted Re Purposed Wood Cheese Box. Uses: Gift Box, Storage, Organization, Decor, and focal point of a vignette. Primitive Crow Hand Painted Re Purposed Wood Cheese Box. Uses: Gift Box, Storage, Organization, Decor, Vignette focal point. Lady In The Garden Hand Painted Re Purposed Wood Cheese Box . Uses: Gift Box, Storage, Organization, and Decor. High Heel And Denim Hand Painted Re Purposed Wood Cheese Box . Uses: Gift Box, Storage, Organization, and Decor. Clarice the Cow - Hand Painted Re Purposed Wood Cheese Box. Uses: Gift Box, Storage, Organization, Decor, and focal point of a vignette. 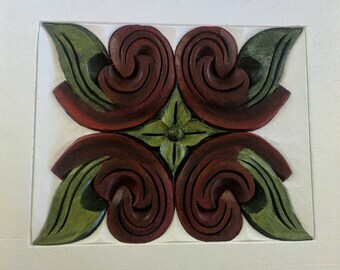 Vintage 1980's "Poinsettia" Themed Mahogany Carved Wood Door Panel That I Re Purposed And Embellished By Hand Painting It. Jingle Bell Hand Painted Re Purposed Wood Cheese Box With Divider. Uses: Gift Box, Storage, Organization, and Decor. SunFlower - Hand Painted Re Purposed Wood Cheese Box. Uses: Gift Box, Storage, Organization, Decor, and focal point of a vignette. Crow Weather vane Hand Painted Re Purposed Wood Cheese Box. Uses: Gift Box, Storage, Organization, Decor, and focal point of a vignette. Beautiful Blue Owl - Hand Painted Re Purposed Wood Cheese Box. Uses: Gift Box, Storage, Organization, Decor, and focal point of a vignette. Scarecrow And Pumpkins Hand Painted Re Purposed Wood Cheese Box. Uses: Gift Box, Storage, Organization, Decor & focal point of a vignette. Thanksgiving Turkey - Hand Painted Re Purposed Wood Cheese Box. Uses: Gift Box, Storage, Organization, Decor, and focal point of a vignette. Blue Christmas Ornaments - Hand Painted Re Purposed Wood Cheese Box. Uses: Gift Box, Storage, Organization, and Decor. Snowman Couple - Hand Painted Re Purposed Wood Cheese Box. Uses: Gift Box, Storage, Organization, Decor, and focal point of a vignette. Vintage Christmas - Hand Painted Re Purposed Wood Cheese Box. Uses: Gift Box, Storage, Organization, Decor, and focal point of a vignette. Once again, GooseandGander has delighted me with an imaginative and creative perfect visible storage piece! "Sleeping Santa" took his place among other Christmas décor and is quietly storing cookie cutters 'til they are put back to work! Special people! Special shop! many thanks, Goose and Gander! RESERVED FOR SHARON*** Sleeping Santa I Hand Painted Re Purposed Wood Cheese Box. Love to paint, learn about painting, collect vintage and antique items and appreciate others creativity! I am passionate in my pursuit and my love for decorative painting! I can get lost for hours painting and coming up with designs. My husband is great at spotting antiques and vintage items, what a great combination! In my store, You will find hand painted items that I have taken great pride and poured my whole heart into. You will also find vintage items that my husband and I love. Both bring great warmth and joy to my heart. I hope it will for your too! Come back from time to time, we add items often. Lover of decorative painting, vintage items, and Animals! Yes, dogs are in the painting studio and help me paint! DEMANDS BELLY RUBS ON THE SPOT. Specializing In Nap Taking and Treat Eating. Barks Out Orders, doesn't tolerate whining. Heards the staff where they need to go! I am the"Goose" . I love decorative painting. What an awesome outlet for creativity. My favorite surfaces to paint on are wood and canvas using chalk and acrylic paints. I love to paint animals and flowers, all of the whimsical variety of course. Re Purposed Cheese Boxes are a particular favorite because they are not only visual appealing but can be used for storage, gift boxes, containers and more. Vintage Items are another love of ours. Especially vintage lunch boxes, vintage action figures, vintage toys, the list goes on. Thank you for stopping by. I hope you see something you love! If you are not happy with your purchase, please contact us first BEFORE leaving negative feedback. Please give us the chance to resolve the issue first. If you wish to return your item please contact us first to give us a change to resolve the issue . There is a 14 day return policy from the time shipper tracking shows item was delivered to you with a 20% re-stock fee. When return items are received by us and are in perfect condition , you will be refunded, minus a 20% restocking and handling fee and the original shipping charges. Please note you are responsible for shipping charges to return to us. CUSTOM ORDERS WILL NOT BE RETURNED, EXCHANGED OR REFUNDED. NO RETURNS, REFUNDS OR EXCHANGES ON STAR WARS OR GI JOE ITEMS. CUSTOM ORDERS CANNOT BE EXCHANGED. Item must be paid in full before it is shipped to you. Shipping may take up to 2 to 3 weeks to get to your location. I can not be held responsible for any shipping delays or loss once a package has been shipped. If you are uncomfortable with this policy , you can purchase postal insurance on your package. Please contact us for more details. Please confirm that your address is correct before purchasing. Buyers are responsible for any shipping costs of returned and resent packages that are as a result of an incorrect Checkout address. Buyers are also responsible for any taxes, etc. that may be incurred at the time of delivery. I use recycled shipping supplies whenever possible. Sometimes, a box may have markings from a previous use. Just know it is helping with the environment. To fulfil your order, you must provide us with certain information (which you authorized Etsy to provide to us), such as your name, email address, postal address, payment information, and the details of the product that you’re ordering. You may also choose to provide us with additional personal information (for a custom order for example), if you contact us directly. *Service providers. We engage certain trusted third parties to perform functions and provide services to our shop, such as delivery companies. We will share your personal information with these third parties, but only to the extent necessary to perform these services. *Business transfers. If We sell or merge my business, We may disclose your information as part of that transaction, only to the extent permitted by law. *Compliance with laws. We may collect, use, retain, and share your information if we have a good faith belief that it is reasonably necessary to: (a) respond to legal process or to government requests; (b) enforce our agreements, terms and policies; (c) prevent, investigate, and address fraud and other illegal activity, security, or technical issues; or (d) protect the rights, property, and safety of our customers, or others. *Access. You may have the right to access and receive a copy of the personal information We hold about you by contacting us using the contact information below. *Change, restrict, delete. You may also have rights to change, restrict our use of, or delete your personal information. Absent exceptional circumstances (like where we am required to store data for legal reasons) we will generally delete your personal information upon request. *Object. You can object to (i) our processing of some of your information based on our legitimate interests and (ii) receiving marketing messages from me after providing your express consent to receive them. In such cases, we will delete your personal information unless I have compelling and legitimate grounds to continue using that information or if it is needed for legal reasons.